Los Angeles County, CA – JUNE 4, 2018: The Westside Democratic Headquarters (WDHQ), a consortium of six democratic clubs (including Heart of LA Democratic Club) and two grassroots organizations, is holding a primary election night party Tuesday, June 5. Los Angeles Mayor Eric Garcetti, who spent his Sunday afternoon at WDHQ phone banking, will attend to kick-off the celebration and watch the returns live. Other Democratic elected leaders are also expected to drop in throughout the evening. The party starts at 8:30 after the polls close. The WDHQ is located at 1027 Westwood Boulevard in Westwood Village (Between Weyburn and Kinross). Metered street parking available for no charge after 8:00 p.m. The Westside Democratic Headquarters is dedicated to flipping the House blue. Hundreds of volunteers have been phone banking and knocking on doors in the swing Congressional districts to the north and south of Los Angeles for months. HQ’s mission is to the flip the districts that voted for Hillary but elected a Republican congressperson in 2016, blue in 2018! To accomplish its mission, HQ is working with the California Democratic Party and the Democratic Congressional Campaign Committee. 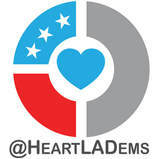 The HQ consortium consists of (in alphabetical order) Code Blue, Heart of LA Democratic Club, Pacific Palisades Democratic Club, Santa Monica Democratic Club, Stonewall Democratic Club, Swing So-Cal Left, West Los Angeles Democratic Club and Westchester-Playa Democratic Club. The Westside Democratic HQ is a chartered entity of the Los Angeles County Democratic Party. It is HQ is also an unincorporated association and political action committee that has not endorsed any candidate nor is authorized by any candidate.